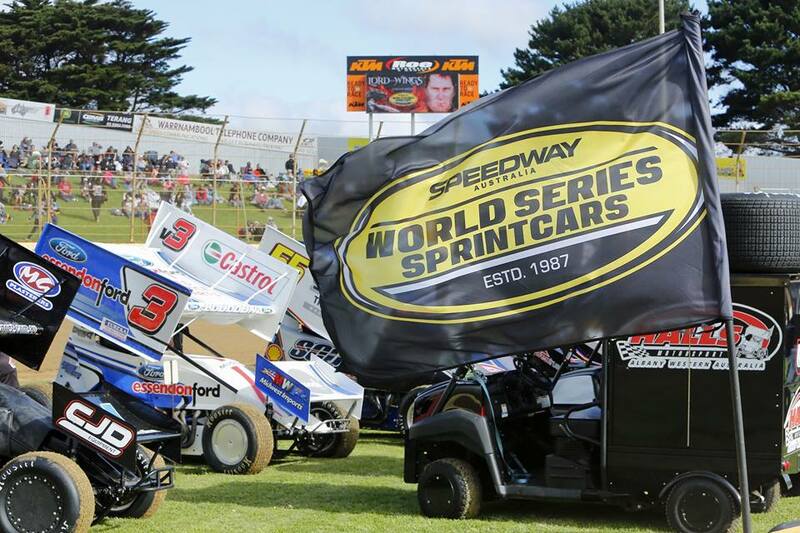 The mantle of Australian Speedway, World Series Sprintcars is back on track following lengthy negotiations in preparing Team and Venue contracts plus the WSS Supplementary Regulations for the 31st annual tour of Australia’s toughest national Sprintcar Series. WSS Co-ordinater Shawn Mortimer thanked the fans for their patience during the recent public lull in proceedings and promotions but explained much input was received and considered from Sprintcar Teams, Promoters, The Sprintcar Control Council of Australia and Speedway Australia in the formulation. “A dedicated team has worked diligently to produce documents that provide clarity for all stakeholders which in turn will provide a streamline approach in the years to come.” Mortimer said. Teams have now received those documents with a closing date for signup nominated as September 29. Mortimer confirmed 20 teams participating as contracted is still a possibility. “I’m proud stakeholders have displayed their passion for a series that has survived 30 years on the Australian Speedway calendar. Their commitment instrumental in the reboot of a fan favourite series that takes in 14 rounds, 15 nights at 10 different venues across Australia,” Mortimer said. Speedway Australia recently announced Lachlan McHugh of the Gold Coast and Jye O’Keefe of Warrnambool as two of those teams participating, today we announce another Warrnambool based team Mollenoyux Racing will join the tour. Driver Darren Mollenoyux confirmed today by signing the dotted line, his team will be part of the line-up for WSS31 as it competes at many of Australia’s favourite venues. Mortimer expects to be able to provide a consistent flow of detail to fans over the ensuing weeks and considers the Speedweek component of the competition to again be a highlight for the fans. This year the series ‘SHOWTIME’ commences on Boxing Day December 26 at Murray Machining and Sheds Murray Bridge Speedway. Murray Bridge will host round 2 the next night in a back to back presentation, Borderline Speedway Mt Gambier will present Round 3 while Avalon Raceway Promoters Jeff and Rod Drew look forward to the action of Round 4. Premier Speedway Promoter David Mills suggests WSS fans source accommodation early for the week and the grand final of the Mini-Series at Warrnambool on New Year’s Day.